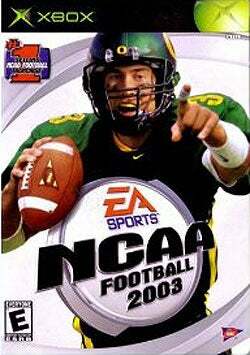 Is EA Sports Robbing College Athletes? The college version of EA's Madden juggernaut does not use actual players in their game (wink, wink), but there are some who think the amateurs are getting screwed out of that sweet video game money. Sam Keller, who played quarterback at Arizona State and Nebraska, has filed a class action lawsuit on behalf of all NCAA football and basketball players, claiming that Electronic Arts conspired with the NCAA and their licensing arm to "to violate bylaws that prohibit the use of collegiate athletes' names and likenesses in the publisher's NCAA Football and NCAA Basketball sports sims." Even though the games contain no actual player names, nearly every player in the NCAA 2009 football game can be linked to a real world doppelganger. Coincidence? Keller doesn't think so. With rare exception, virtually every real-life Division I football or basketball player in the NCAA has a corresponding player in Electronic Arts' games with the same jersey number, and virtually identical height, weight, build, and home state. In addition, Electronic Arts matches the player's skin tone, hair color, and often even a player's hair style." "Eugene Jarvis, for example, stands a mere 5'5" and weighs only 170 pounds. He is also an African-American red-shirt junior from Pennsylvania who wears number 6 for the Golden Flashes. And although he is extremely talented, Mr. Jarvis is unusually small for a college football player. For these reason, one would expect a randomly generated virtual running back for the Golden Flashes to be somewhat dissimilar to Mr. Jarvis." The suit goes on to note that Number 6 for the Golden Flashes in NCAA Football 2009 perfectly matches Jarvis' real-life information. Also, the game makes it extremely easy for users to upload actual names or create their own virtual players that mirror real-life people. A group of retired NFL players won a similar lawsuit on this issue last year. Every one will know that's Colt McCoy leading your Fake Texas Longhorns vs. Fake Sam Bradford and the Fake Oklahoma Sooners, even if the names aren't on the back of the jersey. Maybe the real Colt and Sam get some kind of compensation for that. On the other hand ... the game is so damn fun. If college players had to be compensated for their exact height and weight, EA would simply stop making "authentic" rosters and that makes the game a lot more boring. And doesn't the money that the NCAA makes off the deal go back to the schools, which goes to scholarships? Is that fact that you can play a video game as yourself reward enough? Just how shady this practice is probably depends on which side of the "college athletes should be paid" argument you fall on. And how quickly you can replace Sam Keller when playing Dynasty Mode with Nebraska.